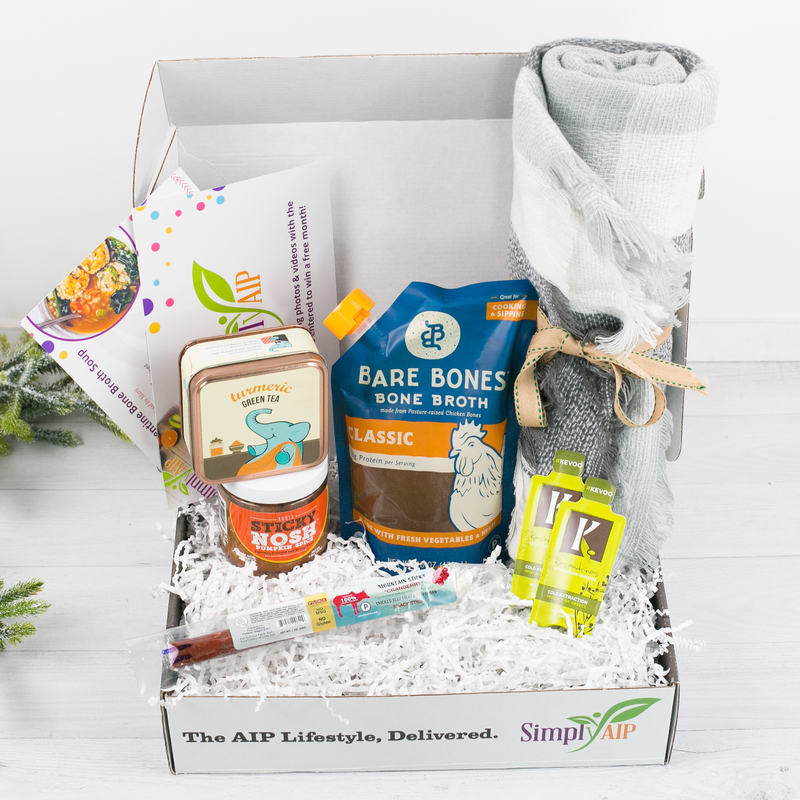 The Simply AIP box delivers everything you need for simply enjoying AIP so you can live your best life while you heal! WHAT'S IN THE BOX? • Tea Trunk Turmeric Glow Green Tea Custom green tea blend with turmeric, ginger, cinnamon, cloves, and holy basil • Roots Sticky Nosh Pumpkin Spice AIP sticky granola in Pumpkin Spice • Bare Bones Broth Classic Turkey, Classic Chicken, or Rosemary Lemon Chicken • Lexi & Lyme Blanket Scarf A portion of each purchase is donated to research on Lyme Disease • Wild Mountain Paleo Cranberry Sticks Cranberry Beef & Organ Meat • Kasandrinos Olive Oil Packets Two included - Perfect for on the go!